Empire: Rome Rising, the epic Roman history strategy MMO is waiting for you to join the battle! 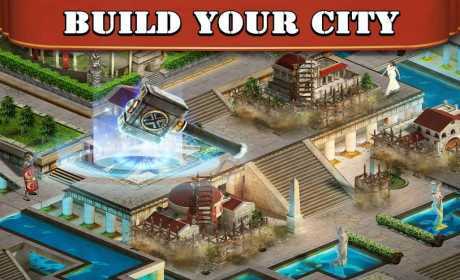 Build a vast empire, research technologies, recruit troops and conquer the enemy. Join a powerful Alliance and campaign together, engage in real time PVP combat or use diplomacy to your advantage. Are you ready for war? Write your name in the history of Rome by leading a small city to glory. Gather and produce resources, research innovative technologies and plan tactics and strategy. Recruit and train cavalry, infantry troops and archers. 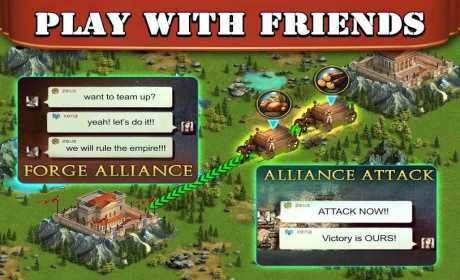 Combine forces with your friends to forge legendary alliances to defeat your enemy and conquer their territory. Defend your city from those who would conquer it and face some of the most dangerous combat in Roman history. Join the millions of players worldwide who are already making a name for themselves in the history books. If you’ve played GoW, CoC or the Hobbit and you’re looking for a new challenge, then look no further! Build an empire to stand the test of time! M Wilson – Rome Rising, war is here, I love it. I’ve played hobbit, GoW, CoC, wanted something different. It’s addictive, same attack, defend, diplomacy etc., but I prefer a PVP MMO to have a real world army (cavalry, infantry, archers). Occupy more territory, you will be emperor! Experience true power in a true Roman strategy MMO! Control every aspect of your empire from building to resource production and tactics to recruitment. Your leadership style will determine how successful you are. A powerful army can help you expand and protect your territory. A city without an adequate army will become easy prey! Battle together in real time! Use tactics and strategy to set up your army and overcome your foes. Train heroes to lead your troops into conflict and watch the conflict in real time! Forge powerful alliances with players worldwide! Band together with your friends and face the world as one Alliance. Organize your attacks and defensive schemes and conquer and occupy new lands. Research technologies that will help gain the winning edge! A civilization is only as good as its technology. The higher the level of your technologies, the more you will gain from them in terms of resource production and combat ability. Play the role of the hero in a beautiful Roman world! Become a powerful leader in a historical world with great graphics. 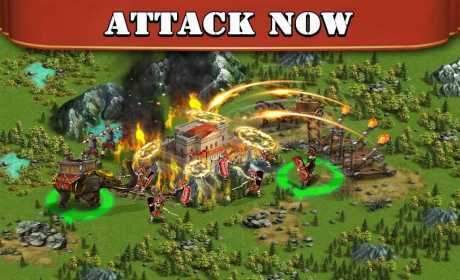 Experience the feeling of using tactics and leading legionaries, archers and catapults on an assault to capture a city.